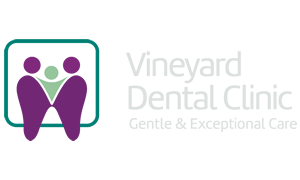 The team at Vineyard Sunbury Dental greet you in some modern, clean and hygienic surroundings, with state-of-the-art equipment and facilities. We are committed to giving our patients the most recent evidence-based dentistry information and care combining both ethics and experience. So, of course, nothing is carried out without your consent and understanding. We know how busy life can be, and that’s why we are open six days a week, at lunchtime and after hours, so we’re there when you need us. As your local dentist, we’re available if you require urgent care or emergency treatment and we’ll make sure you’re seen as quickly as possible. We promise to make a difference by providing great value dental care that is easily accessible to customers. If you have private health insurance, we’re also able to offer you the value and convenience of instant claiming through HICAPS, and if you’re eligible for funding via Veterans’ Affairs programs or the Child Dental Benefits Schedule we’re pleased to welcome you.